A diverse range of human diseases, including allergy, asthma, autoimmune disease, cancer and chronic neurologic diseases, notably multiple sclerosis and endogenous depression, is becoming more prevalent in industrialized countries. It has been postulated that environmental factors associated with improved standards of hygiene play a leading role in this process since the immune system seems to need extrinsic challenges for its proper maturation. An added dimension has now emerged—the impact on disease of the inner world, principally the numerous endogenous retroviruses (HERVs) within the human genome. Taking melanoma as an example, we propose a framework for understanding how a complex infectious and immunological background can induce or inhibit expression of a HERV-related disease process. The central role of a failure to induce or to maintain certain populations of self-specific CD8+ T-cells mediating immune surveillance, the expression of HERV-encoded peptides on affected cells and pathological mechanisms directly attributable to HERV proteins are discussed. The presented concepts explain events preceding the clinical manifestation of diseases by several years and provide a rationale for the use of currently available vaccines to protect against certain HERV-induced diseases, especially melanoma. Criteria for establishing the causal role of HERVs in a given disease are proposed. The term Darwinian medicine has been applied to the study of the interplay between inherited genetic characteristics and the very rapid societal changes, notably those in the industrialised nations, that have occurred over the last few centuries (Rook 2009). Studies in this field have, in particular, focused on the increasing isolation of the human population from many micro-organisms that millions of years of evolution have led the immune system to ‘expect’ to acquire as drivers of immunoregulatory pathways. The considerable increase in the industrialised nations of a number of conditions, including allergies, a wide range of autoimmune disorders and certain cancers has been attributed to inadequate or inappropriate development of the immune system and its regulatory pathways. These conditions are all characterised by chronic inflammation (Rook 2007), which, in contrast to acute inflammation, is a manifestation of dysregulated, and potentially inappropriate immune reactivity (Bottasso et al. 2009). As well as initiating certain cancers, the key relevance of chronic inflammation to the subsequent development and maintenance of most if not all cancers has been highlighted in recent years; indeed such inflammation has been termed “the other half of the tumour” (Mantovani et al. 2008). Initially, the hygiene-related factor responsible for the changing pattern of disease was thought to be a reduced exposure to a range of previously common infectious diseases during childhood, but it now seems likely that the relevant micro-organisms from which we are increasingly isolated also include commensals and saprophytes, such as actinomycetes, that are acquired by the oral route. Intestinal helminth infestations, once universal and usually harmless, may have protected against allergic disorders and, possibly, some of the other conditions referred to above. The term ‘old friends’ has been applied to putative beneficial microbial populations (Rook 2007). Another consequence of improving standards of hygiene is that certain infections once almost universally acquired in infancy are now acquired at a later age and the immune response to such infections in older people may be quite different than in infants, sometimes with deleterious consequences. The outcome of the nature and sequence of infections and other antigenic challenges during the lifetime of a person has been linked with the ‘biography’ of the immune system (Krone et al. 2009). To date, Darwinian medicine has focused on external factors, notably the acquisition, or lack of acquisition, of commensal and pathogenic micro-organisms from the surrounding environment, but there is another key emerging theme in this important field of human medicine. The complete sequencing of the human genome revealed many surprises, not least of which is that almost half of the genome is composed of, or derived from, virus-like elements. As our planet, with its abundant supply of water and the eventual emergence of life on its surface, evolved as the result of many catastrophic collisions with asteroids and comets, so that which was ultimately to become the human genome appears to have enlarged and evolved as a result of numerous collisions with viral DNA (Kazazian 2004). The term ‘virolution’ has been applied by Frank Ryan to this key aspect of our overall evolution (Ryan 2009a), and the subject has been summarised in a series of excellent reviews by the same author (Ryan 2009b). The components of the viral content of the human chromosome that may well have had the most significant impact on evolution are the human endogenous retroviruses (HERVs), which comprise around 8 percent of the chromosome and represent around 400,000 genetic loci. These HERVs have been acquired over millions of years and many different families and sub-families have been described (Bannert and Kurth 2004; Dolei and Perron 2009). The earlier the ‘hit’, the more fragmented is the residual chromosomal DNA. Thus HERVs of the W series are the oldest yet found, having been acquired by our primate ancestors around 40 million years ago. By contrast, those of the K series were acquired between 3 and 6 million years ago, at the time of the human-chimpanzee split, and may indeed have played a key role in mediating this split (Sverdlov 2000). Probably due to their relatively recent origin, those of the K series are the most complete and biologically active of the HERVs and are able to induce the formation of replicating virus particles (Ryan 2009a), though infectivity has not been demonstrated (Boller et al. 2008). These whole virus particles can, however, co-package RNA from HERVs that are unable to directly induce such particles (Ruprecht et al. 2008). Whether also exogenous xenotropic retroviruses could become involved is far from clear (Lo et al. 2010). HERVs contain a small group of functional genes (env, gag, and pol, similar to those in other retroviruses including HIV) flanked by regulatory genetic units termed long terminal repeats (LTRs). Some functional HERV genes now code for indispensible human proteins. Thus, for example, the expression of the env regions of three HERVs—ERV-3, HERV-W and HERV-FRD—is essential for the formation of the placental syncytiotrophoblast and the HERV-FRD component appears to be involved in the suppression of immune reactivity that might otherwise reject the foetus (Rote et al. 2004). Once established in the host DNA, HERVs produce multiple copies of themselves, in some cases up to 1,000, widely distributed throughout the genome and the LTRs are able to regulate functional genes of the host as well as those of the retrovirus. Such LTRs play a key role in the intra-uterine development of the foetus, shepherding it through the complex recapitulation of evolution. Accordingly, HERVs have played a central role in the evolution of the human species and still have an indispensable function in our maturation (Ryan 2009a; Gogvadze et al. 2009). But there is a price to pay. HERV antigens are not normally expressed, or are only expressed at low levels, by the host but in circumstances of inappropriate control and regulation, expression of HERV genes may initiate or maintain pathological processes (Larsson and Andersson 1998). Such gene products can be complete or incomplete viral env or gag proteins or products of recombinational processes (Laufer et al. 2009). In this context, there is growing evidence that, by affecting immune regulation, the hygiene-related factors mentioned above may facilitate the abnormal expression of HERV-encoded genetic information. The exact mechanisms underlying abnormal HERV gene expression are poorly understood but in some cases it is associated with hypomethylation of the relevant viral genes (Gimenez et al. 2010; Stengel et al. 2010). There is, however, an ‘Achilles heel’ in the HERV-mediated induction of pathological changes in cells; namely, the immune presentation of HERV-encoded epitopes on the surface of affected cells, thereby serving as targets for immune processes that repair or destroy the compromised cell. In principle, genetic expression of HERVs can be controlled by self-specific CD8+ T-cells although there may well be a need for the relevant sub-populations of T-cells to be expanded and maintained by contacts with environmental micro-organisms, particularly those encountered early in life, which by bearing epitopes homologous to the relevant HERV epitopes induce cross-reactive immune responses. This raises the possibility that hygiene-related factors may modify such cross-reactive immunity with, in some cases, deleterious consequences, but it also raises the prospect of vaccination strategies to prevent, or immunotherapy to treat, HERV-related disease processes. An example of a disease in which abnormal HERV gene expression appears to play a primary role in the pathological processes is melanoma, which has undergone a considerable increase in incidence in the industrialised nations where, with the exception of lung cancer in women, its incidence is rising more rapidly than any other cancer (Garbe and Leiter 2009). Indeed, in the light of current understanding, it is a disease that affords a very good model for elucidating the complex interactions between HERVs, exogenous infections and the hygiene hypothesis. 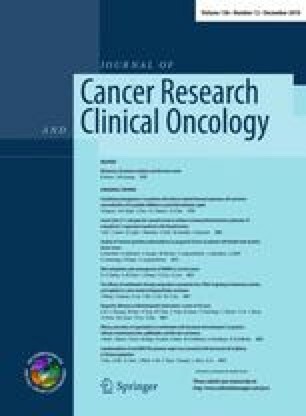 In view of occasional reports of spontaneous regressions of melanoma, suggesting the occurrence of effective immune responses, the Febrile Infections and Melanoma (FEBIM) working group within the Epidemiological Section of the Melanoma Cooperative Group of the European Organization for Research and Treatment of Cancer (EORTC) was established to conduct epidemiological studies on the impact of prior infectious diseases and vaccinations on the risk of melanoma in several European countries and Israel. The FEBIM group established that a history of serious but uncommon infections with fever >38.5°C, including pneumonia, sepsis, pulmonary tuberculosis and Staphylococcus aureus infection, was associated with protection against melanoma, with the level of protection being directly related to the number of such infections (Krone et al. 2005). In addition to naturally occurring infection, it was demonstrated that vaccination early in life against smallpox and/or tuberculosis (vaccinia and BCG vaccines) confers an enduring degree of protection against melanoma. Adjusted odds ratios (95% confidence intervals) of risk were 0.40 (0.18–0.85) for BCG alone, 0.60 (0.36–0.99) for vaccinia alone and 0.41 (0.25–0.67) for both vaccines. In addition to this conferred protection, patients developing melanoma have a significantly better prognosis if they have received one or both vaccinations (Kölmel et al. 2005). There is evidence that expression of a human endogenous retrovirus of the HERV-K family is involved in several stages of carcinogenesis in melanoma, from initiation of malignant change to development of the clinically evident tumour (Muster et al. 2003; Serafino et al. 2009; Singh et al. 2009). Thus HERV-encoded molecules are suitable targets for immunotherapy. In this context, an unexpected finding was made: a healthy subject recruited for a trial of a melanoma vaccine had an expanded population of cytotoxic T-cells recognizing an epitope coded for by a HERV-K (Schiavetti et al. 2002), suggest a mechanism by which the certain vaccinations and infections might protect against melanoma. As the HERV-encoded peptide, HERV-K-MEL, is presented by HLA-molecules on the majority of human melanomas, the relevant infections and vaccinations might elicit protection inducing populations of CD8+ T-cells cross-reacting with this target epitope. Amino-acid sequences with homologies to the HERV-K-MEL peptide were therefore sought among pathogens and vaccines and were found in those that conferred protection but not in those that did not (Krone et al. 2005). This finding raised the possibility that other vaccines in routine use might be able to confer protection and could be identified by the presence of epitopes with structurally similar amino acid sequences. Such a sequence was found in the 17D yellow fever vaccine and its postulated protective effect was confirmed in a pilot study that also showed that there was a period of around 10 years between vaccination and observed protection (Mastrangelo et al. 2009). This time lag suggests that the induced immune response exerts its protective effect at the time of tumour initiation which precedes the clinical manifestation of the disease by several years or a decade. Immunotherapeutic strategies have been investigated in a mouse model based on a melanoma and a colorectal cancer, both of which express tumour associated mouse endogenous retrovirus antigens (MERVs) (Kershaw et al. 2001). It was postulated that immune responses targeting the envelope protein of the MERVs might confer protection. Accordingly mice were vaccinated either with a MERV envelope peptide pulsed dendritic cell vaccine or a recombinant vaccinia vaccine and challenged with tumour cells injected into the tail vein. Three weeks later, lung metastases were counted and showed that vaccination conferred a high degree of protection by generating immune responses specifically targeting the MERV envelope. This vaccination strategy was, however, not effective against tumours that were already established. It is highly likely that such protection is mediated by self-specific CD8+ T-cells, the developmental biology and function of which has been studied in recent years, although not all their modes of action have been determined (Jordan et al. 2001; Dhanji and Teh 2003; Mathis and Benoist 2009). They belong to a distinct lineage and have developmental requirements distinct from those of conventional CD8+ T-cells, being independent of Tec kinases and of Ras GRP1 for their development but instead being dependent on IL-15 and strong interaction with self-antigen. In vitro, they undergo marked proliferation when stimulated with either IL-15 or IL-12 in the absence of TCR stimulation. Upon activation by IL-15, they produce significant amounts of IFN-γ and can, for example, protect against infection with listeria via recognition of a self antigen. While exposure to foreign antigen may not be essential for the initial induction of these self-specific CD8+ memory T-cells, contact with homologous antigens in an appropriate co-stimulatory context can increase and maintain relevant sub-populations of them. During an immune response they can activate other immune cells to produce a wide range of cytokines and, in addition, they provide an innate source of IFN-γ during an immune response such as against infection. As discussed above, epidemiological data indicate that certain infectious diseases and vaccinations against infectious diseases including vaccinia, BCG and yellow fever vaccinations confer protection against tumour development at the time of tumour initiation, years or decades before a clinical manifestation of the malignant disease, either by cell killing or repair. A candidate immune mechanism for cell repair is based on gangliosides of the neo-lacto series, in particular LM1 (Ritter et al. 1986; Nojiri et al. 1988; Schaade et al. 1999, 2000), which are transmitted from leucocytes to the target cell by direct cell-to-cell contact. LM1 has effects on cell growth and differentiation and can normalise a malignant phenotype in various pre-malignant cell-lines by causing cell cycle arrest within the G0/G1 phase of the cell cycle (Nojiri et al. 1988; Schaade et al. 1999). A differential display analysis of gene expression (Krone et al. 2005; Schaade et al. 1999) shows that LM1 mediates suppression of retroviral RNA; moreover, it also induces a kelch 1-like protein, one of a family of proteins known to be involved in transcriptional repression (Wang et al. 2008), and it induces S-adenosyl-homocysteine-hydrolase, an enzyme that is essential to the generation of active methyl groups. These methyl groups are needed for methylation of DNA which is the most important mechanism by which cells silence the genetic expression of endogenous retroviral genes. Further studies on this mechanism would be of great interest and relevance to carcinogenesis and its suppression. The immunoregulatory networks at any given time are the result of a complex and convoluted history of repeated encounters with the microbial environment, resulting in either long term or transient commensalism or acute, chronic or latent infection. This history, termed the ‘biography’ of the immune system (Krone et al. 2009), plays a key role in health and disease and is crucially affected by hygiene-related factors. Even very small antigenic contacts, so small that they may not induce measurable immune responses, are able to ‘imprint’ the immune system with patterns of subsequent reactivity (Menon and Bretscher 1996). In addition, changes in the timing of sequential infections, due in some cases to hygiene-related factors, may have major impacts on the outcome of infection, a phenomenon termed ‘Original antigenic sin’ (Editorial 1958). Thus the immune response to a pathogen often acquired very early in life, such as the Epstein-Barr virus, may be quite different if the infection occurs later in life and after infection by pathogens bearing cross-reactive epitopes that generate expanded populations of specific memory cells (Krone et al. 2009). Depending on the biography of the immune system, a wide range of effector and regulatory T-cells, and corresponding regulatory networks, with quite different relevance to protection and pathogenesis, will be generated. Thus various populations of effector and regulatory cells may be generated, suppressed or eclipsed and inappropriate cells that promote pathological processes may be induced (Krone et al. 2009). In general, in respect to melanoma, the label of ‘good’ or ‘bad’, beneficial or detrimental, cannot be applied to the various pathogens considered above. It seems that several infecting micro-organisms contribute to the development of immunoregulatory pathways that protect against melanoma and the absence of one or more may be compensated by others and, collectively, these may be regarded as “old friends” (Rook 2007). Compared with exogenous viruses, the situation with HERVs is quite different as they are an integral part of inherited genetic material, yet their expression and effect may be just as hygiene-related as encounters with microorganisms in the external environment. While on the basis of their central role in human evolution they are certainly “old friends”, they can act as “old foes” under some circumstances which are becoming progressively less avoidable as human populations increasingly distance themselves from the environmental micro-organisms encountered by their ancestors. Are there other examples of HERV-associated pathology? In addition to the example of melanoma discussed above, HERVs could induce abnormal immune reactions in two ways. Firstly, abnormally expressed HERV encoded peptides could be recognised as ‘foreign’ and, by inducing cross-reactive immune responses including antibody, could initiate a range of autoimmune diseases. Secondly, a translocating HERV long terminal repeat could promote the expression of a gene which is usually inactive, yielding a product which could likewise be recognised as ‘foreign’ (Moyes et al. 2007). Although, as mentioned above, caution must be observed in determining whether abnormal HERV expression is the cause or consequence of a disease process, such expression has been reported in a number of autoimmune disorders including rheumatoid arthritis, lupus erythematosus and Sjögren’s syndrome, other connective tissue diseases, various inflammatory neurological diseases (Balada et al. 2009), and schizophrenia (Huang et al. 2010). Thus, for example, significantly higher levels of mRNA for a gag protein of HERV K10 were found in patients with rheumatoid arthritis than in those with osteoarthritis and in healthy controls (Ejtehadi et al. 2006). The expression of members of three HERV families, HERV-E, -K and -W, has been detected in 29 of 43 of psoriatic skin lesions but in only three of 14 lesions of atopic dermatitis and in two of 21 normal skin samples, but the relevance to pathogenesis has not been determined (Molès et al. 2005). In schizophrenia, genes with mRNA sequences homologous to the HERV-W env gene were detected in plasma from 42 of 118 patients with recent-onset schizophrenia but in none of 106 healthy subjects, and this retroviral protein was found to upregulate several schizophrenia-associated genes (Huang et al. 2010). In addition, HERV expression has been described in several cancers in addition to melanoma, including breast, teratoma, seminoma, renal and haematological malignancies (Schiavetti et al. 2002; Depil et al. 2002; Takahashi et al. 2008; Contreras-Galindo et al. 2008). In most cases, the expressed HERVs are of the K series, but gene products of HERV-E are expressed on renal cell carcinomas and may serve as targets for donor cytotoxic T-cells (Takahashi et al. 2008). In one study, high levels of HERV-K RNA was detected in sera from patients with either lymphoma or breast cancer, with whole viral particles being visualised in sera by electron microscopy, but the levels dropped markedly on treatment (Contreras-Galindo et al. 2008). Despite these intriguing findings, the diverse roles of HERV expression in cancers, and their causal significance, remains poorly understood and controversial. A similar degree of caution is required in the interpretation of findings of HERV expression in disease processes as in the determination of the pathogenic role of exogenously acquired micro-organisms. Thus some form of ‘molecular Koch’s postulates’ are required. In this context, HERV expression may represent a normal physiological process that could well mediate a protective response to disease. This is particularly the case in the brain in which constitutive and genetically linked expression of several HERVs has been detected in brain tissue from subjects with and without neuroinflammatory conditions (Frank et al. 2005). Koch’s postulates are for several reasons not applicable to HERV related diseases. Thus, all human cells have genetic information encoding HERVs and expression of HERV genes is not detected in all patients with the putatively related disease, since such expression may have initiated the disease process years or decades before the clinical onset. Moreover, there may be a low level of expression of the relevant HERVs in persons without the disease. There are numerous copies of the HERV genes within the human genome and, as a result of somatic mutations leading to genetic diversity, certain HERV genes could be expressed in some healthy individuals. A critical point in the regulation of HERV activity is immune control by self-specific CD8+ T-cells, and those with specificities for HERV targets are already present early in life. Immune surveillance may depend on recognition of a single, or perhaps a very few, target peptides and may vary from person to person, depending on the profile of antigen-presenting HLA-molecules. The efficiency of immune surveillance may well depend on expansion of the relevant sub-populations of self-specific CD8+ T-cells by contact with homologous epitopes of exogenous micro-organisms. Thus a lack of such contact due to hygiene-related factors enhances the risk of disease. Alternatively, according to the principle of original antigenic sin, beneficial immune responses that are dominant if a micro-organism is encountered early in life may, if it is encountered later in life, be eclipsed by responses induced by prior contacts with antigenically related micro-organisms. The human genome codes for the relevant HERV genes. At least one particular antigen of a specific HERV is detected more frequently in tissues affected by the disease under consideration as compared with material from healthy control persons. In some cases two or three such antigens such as the env, gag and a peptide from a related open reading frame would be detected. The incidence of the disease has been significantly increasing in recent decades in countries with improved standards of hygiene. Epidemiological studies reveal that a history of certain infections and vaccinations confer protection against the given disease and the use of genetic data banks reveal that protective micro-organisms express epitopes that could cross-react with the relevant HERV epitopes but that these are not present in micro-organisms that are not associated with protection. Vaccines with appropriate cross-reacting epitopes confer protection against the disease if administered at the time that the initial pathological changes leading to the disease occur. In the case of melanoma, this would be around ten years before clinical presentation. A product of a HERV-encoded gene is shown to be directly involved in pathogenesis of a disease, such as altered melanin in melanoma (Krone et al. 2005), or that it upregulates genes associated with expression of the disease, as in schizophrenia (Huang et al. 2010). These ‘HERV postulates’ all apply to melanoma, as described above, and may find a more general application in the future. Although one of Koch’s postulates, establishing the disease in an experimental animal, is inapplicable, proof of principle can be obtained by use of analogous animal models. A key issue in the emerging discipline of Darwinian medicine, as recently reviewed in detail (Rook 2009), is the impact of a rapidly changing environment on the acquisition of a range of micro-organisms that millions of years of evolution have led the developing immune system to ‘expect’. The other key aspect of this discipline, which can equally be considered Darwinian, is the impact on health and disease, and indeed on evolution itself, of the endogenous relics of numerous successive retroviral infections over huge expanses of time. We postulate that these two aspects of Darwinian medicine are very closely related, with fine balances between exogenous and endogenous immune challenges which, if disturbed, can result in disease. The study of HERV-induced disease, in contrast to exogenous viral infections, is in its infancy. Likewise, and for this reason, no specific vaccines against human HERV-induced disease have been introduced, although vaccines eliciting tumour protective immune responses against endogenous retroviral epitopes in the mouse have been developed (Kershaw et al. 2001). An alternative to developing novel vaccines is to screen currently available ones for their ability to generate cross-reacting protective immune responses to expressed HERV epitopes involved in, or indicative of, disease processes. Thus, as reviewed above, epidemiological studies demonstrated that vaccination with BCG and vaccinia early in life or with yellow fever in adult life induced significant protection against melanoma. Although further studies are required, in particular to confirm the impact of yellow fever vaccination, immunization strategies of the future may have a two-fold aim—to compensate for the loss of natural encounters with “old friends” and protection against potential enemies lurking within.